Production of the feature film Hooked has wrapped. This picture captures the moment of celebration after we completed filming the last shot of Hooked after 18 long and challenging days of production. Normally when you film a movie at this extremely low budget level, many films concentrate around one location and keep the scenes relatively simple. That wasn’t the case with Hooked because we had an important story to tell! 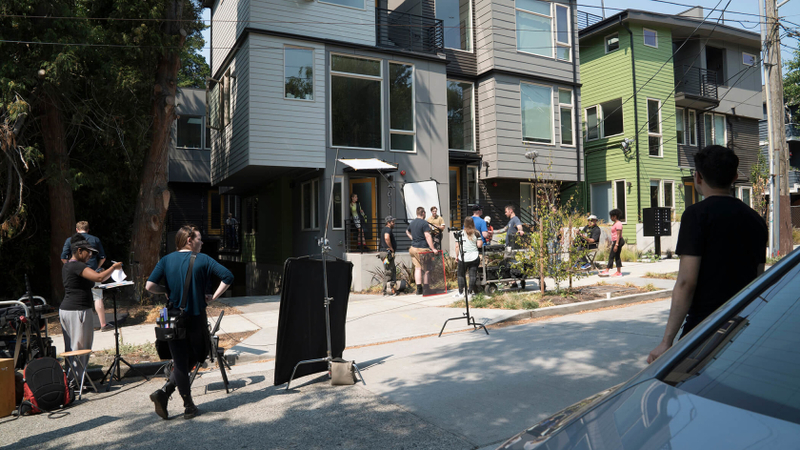 We managed to film at 27 locations all around Seattle while filming 98 scenes involving hundreds of extras. This was all possible because of our amazing supporters, the incredibly talented cast and crew, and the many fantastic people who volunteered their time and resources to help make our movie possible. Beyond that, we had some wonderful churches and businesses donate their space and resources. Our local Starbucks alone donated enough coffee and scones for nearly the entire production. It was incredible! We saw many answered prayers. What’s next? We’re now editing the footage and we’ll soon be raising the funds we need to complete post production. That will include sound design, sound editing and mixing, recording the score, and everything it will take to get the movie ready for the big screen. There are so many stories and pictures I’d love to share with you. I’m collecting them now and will post them while I edit the movie. I’m including a few pictures below from the first two days of production. Enjoy! And thank you to everyone who is supporting Hooked! Jason Treviño and Cora Cleary played the leading two roles and did a terrific job. It was a pleasure to direct them. 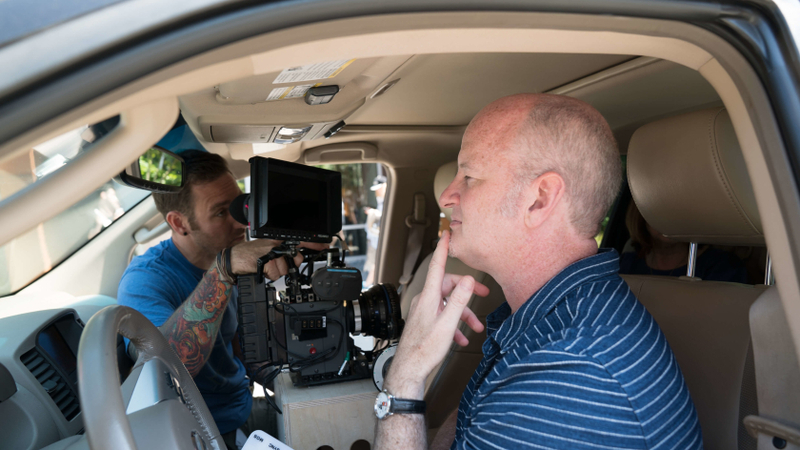 …the sound mixer hides in the trunk! 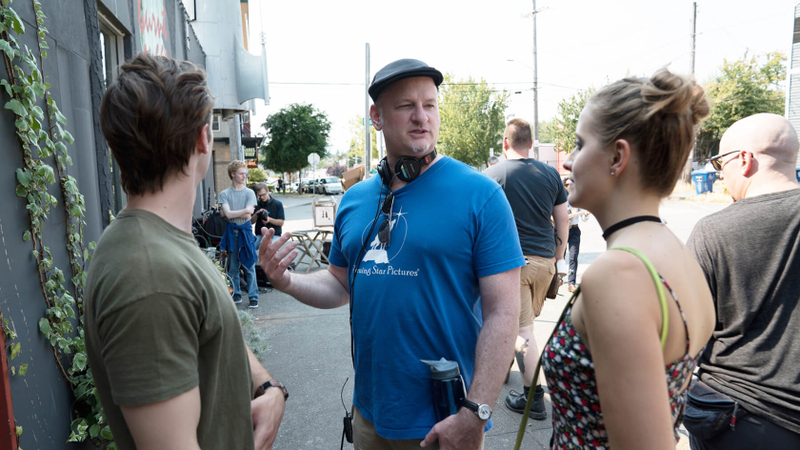 We filmed many scenes in Fremont, a hip and artsy area of Seattle. It It takes a lot of equipment and people to make a movie. 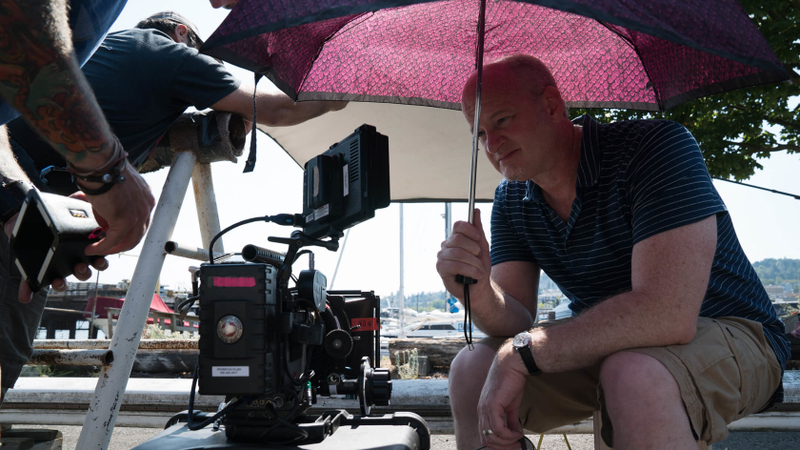 We typically had 20-40 people working on the set every day. On our low budget, we couldn’t afford a director’s chair so I just sat where I could and appreciated anything that could give me shade. Yes, I have a cameo in Hooked. If you’ve read the book, you’ll know what is happening in this scene. If not, it’ll be a surprise!